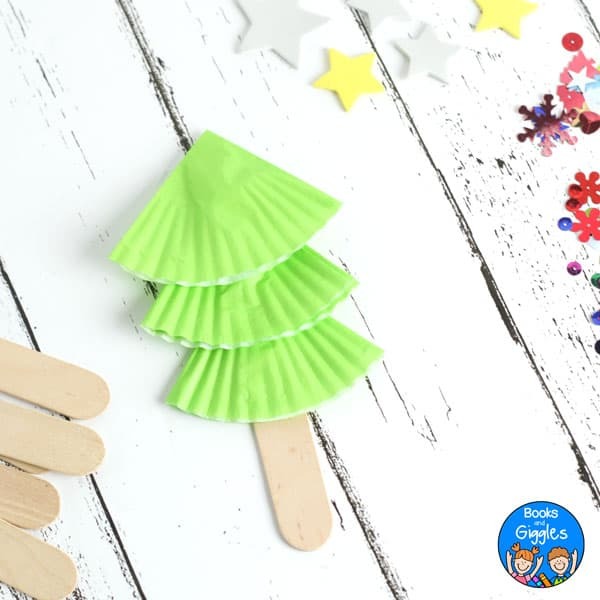 This easy Christmas tree craft for kids is perfect for class parties. 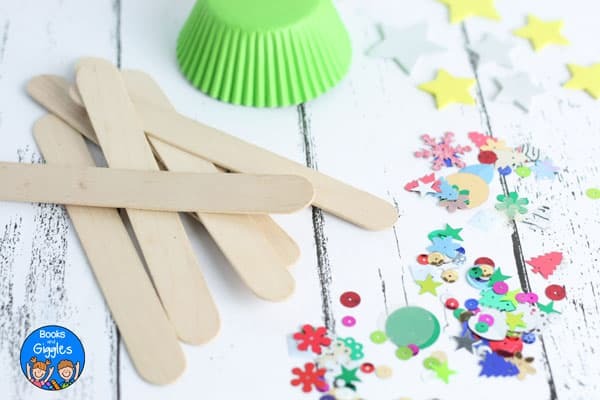 It’s also a great choice for a simple craft station at a children’s holiday event. 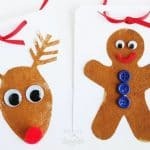 I love kids crafts that can also be used for dramatic play. Last month we made these craft stick turkey puppets. Today, we’re sharing these little Christmas trees that can be held like puppets too. 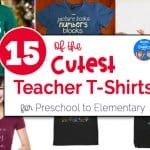 If you want to give your little learners some inspiration, pair the craft with a storybook such as The Littlest Christmas Tree by R.A. Herman (affiliate). This sweet story is about the smallest tree on a Christmas tree lot who feels forgotten. Your kids will love the adorable happy ending. 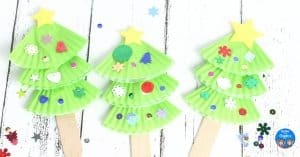 This easy craft uses cupcake liners to form the tree. 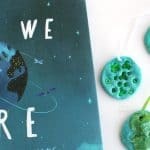 Green ones are best, but you can also get creative and try other colors that you happen to have around. Have fun with it! You can give preschoolers pre-folded and glued cupcake wrappers, and provide larger tree decorations. Older children can make the entire craft themselves and may spend quite a bit of time on the details. 1. 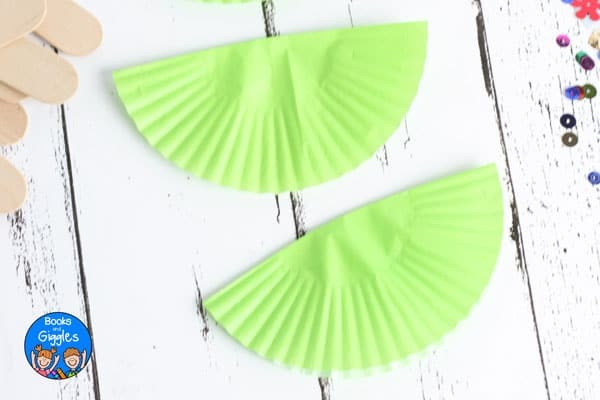 Fold three cupcake wrappers in half and then in half again. Glue each section of the fold down to make sure it stays flat. 2. Glue one folded wrapper to the center of a craft stick. Then, glue the second wrapper on top of the first and the third wrapper on top of the second to create a tiered effect. 3. Attach one star sticker to the top of the cupcake wrapper tree. 4. Place drops of glue on each cupcake wrapper and then attach a variety of sequins all over. That’s it! 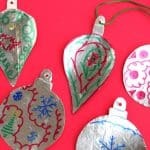 Your Christmas tree craft for kids is ready to play. 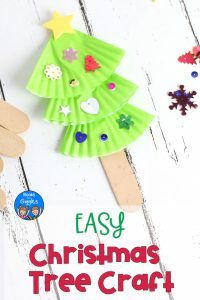 If you’d like a different Christmas tree craft that is interactive, I love this accordion Christmas tree from Easy Peasy and Fun. 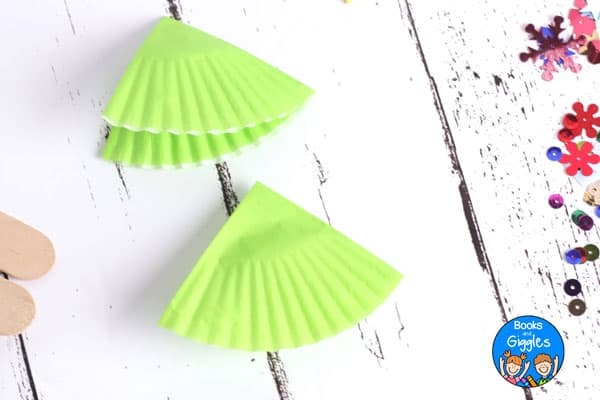 Like this cupcake liner craft, it is also great fine motor skills practice for little hands. 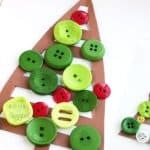 Finally, for another story-based interactive craft, you may like this button Christmas tree activity for preschoolers.